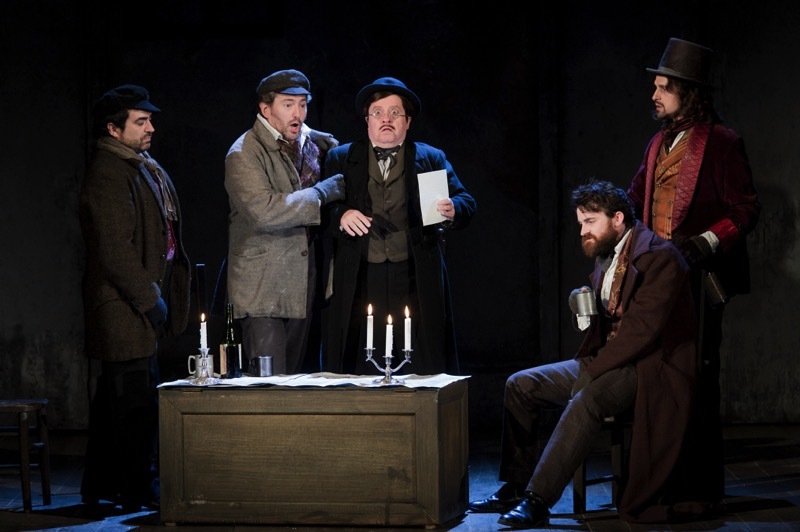 Puccini's La Bohème is a beautifully crafted mechanism which does not need any tinkering with, and the great virtue of Stephen Medcalf's new production at Grange Park Opera paid the work the compliment of taking it seriously, playing it with a detailed sense of naturalism in the actin. The finely balance cast featured Susana Gaspar as Mimi, Gianluca Terranova as Rodolfo, Brett Polegato as Marcello, Kelebogile Besong as Musetta, Quirijn de Lang as Schaunard, Nicholas Crawley as Colline, Nicholas Folwell as Benoit and Alcindoro, Robert Abate as Parpignol. Designs were by Jamie Vartan, with movement by Lynne Hockney and lighting by Paul Keogan. Stephen Barlow conducted the Bournemouth Symphony Orchestra. Stephen Medcalf did have one pensée. 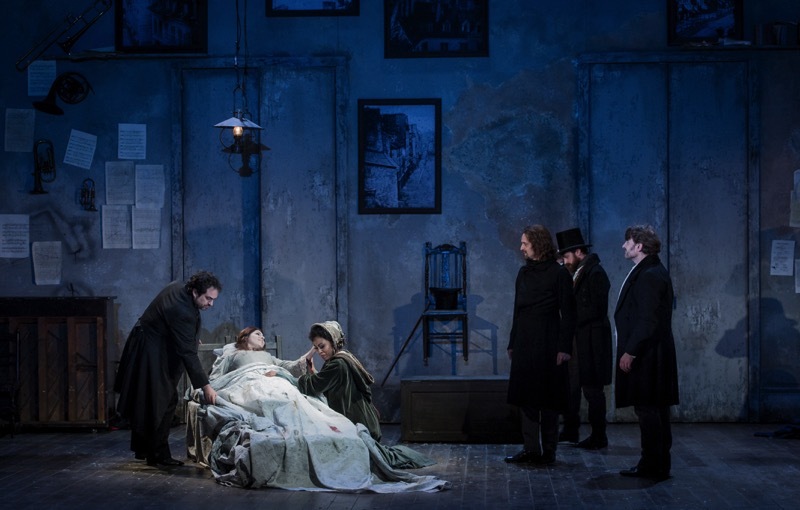 The production explored the idea, present in Henri Murge's Scènes de la vie de bohème but not really reflected in Puccini's opera, that la vie de bohème was a state of mind, the young men were not struggling students but had come to Paris to live the bohemian life. So the production started with the four young men, Gianluca Terranova's Rodolfo, Brett Polegato's Marcello, Quirijn de Lang's Schaunard, and Nicholas Crawley's Colline, entering through two large doors at the back, removing their grand clothes and dressing in the bohemian style. At the end, after the death of Mimi (Susana Gaspar), the reverse happened. The drawback from this interesting approach was that some people found the ending rather harsh (I didn't; I found it rather moving), but the real big advantage was that the four male leads played their age. We had the undeniable advantage of mature singers like Gianluca Terranova and Brett Polegato as Rodolfo and Marcello, without the embarrassment of them trying to pretend to be young students. 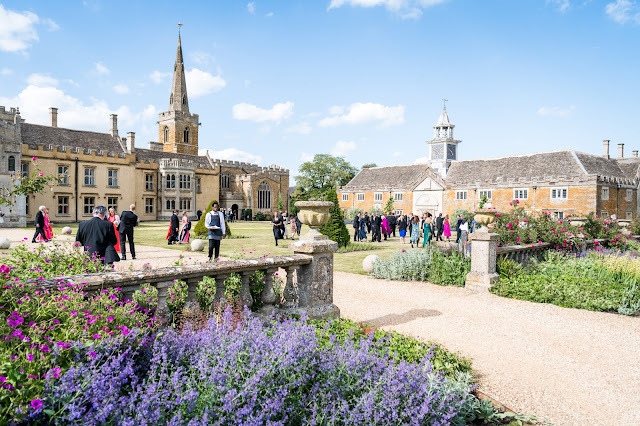 The beauty of the productions by Stephen Medcalf that I have seen (such as Eugene Onegin and Capriccio at Grange Park Opera, and Gluck's Orfeo at Buxton) is the finely detailed interaction between the cast members. This was true of La Bohème where the romantic melodrama of the plot was underpinned by a lovely sense of the relationships between the principals. The production was full of moments which illuminated small details of the opera. The setting, by Jamie Vartan, was essentially a fixed room, full of detritus from which the cast assembled the settings of each scene, with a selection of evocative objects (stove, musical instruments etc) hanging down from the flies. The only real miscalculation was at the end of Act One, when one of the walls moved to give Rodolfo and Mimi a dramatic exit, but this meant that Susana Gaspar and Gianluca Terranova's climactic duet was accompanied by the clunking of scenery moving. Susana Gaspar made a spectacular Mimi. Small and sober, she sang with a lovely shapely sense of line, and a real feeling of inter life. Her Mimi was quite serious, but with great charm and a nicely low key, yet intense, way with the more melodramatic elements. The great moments were very finely sung, but well integrated into the drama. She was superbly supported by a very sympathetic and unselfish performance from Gianluca Terranova. Their duet in Act Three was one of the high points of the opera, with so much expressively unsaid, with Susana Gaspar and Gianluca Terranova strong and quietly intense as the dialogue of Brett Poletato's Marcello and Kelebogile Besong's Musetta exploded around them. 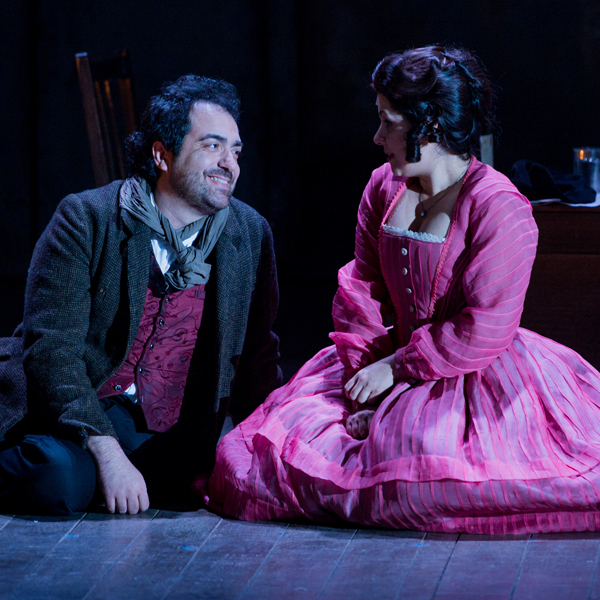 Gianluca Terranova has a substantial, firm Italianate voice which he reined in finely for all the dialogue. Too often young tenors can simply bellow their way through, but Gianluca Terranova gave us a real sense of more naturalistic dialogue. True you could sometimes hear the gear changes s he moved his voice into full throttle, but this was a small price to pay. He does not, perhaps, have a really great voice but he was able to use it creatively with real musical intelligence, using the music to present Rodolfo as a real character rather than just the star tenor singing hit numbers. There was a similar strength and believable naturalism to Gianluca Terranova's relationship with Brett Polegato's finely sung Marcello. This brought strength and balance to the production and Rodolfo and Schaunard's relationship really came into focus. 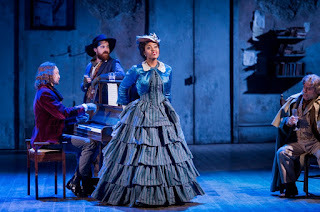 It helped that Brett Polegato gave a finely sung performance of Marcello, and he was very moving in Act Two as he struggled with his attraction to Kelebogile Besong's Musetta. The other two young men were as finely balanced, with Quirijn de Lang as Schaunard and Nicholas Crawley as Colline. Quirijn de Lang made a charming musician, including accompanying Musetta's waltz song in Act Two. And Nicholas Crawley mad Colline's farewell to his overcoat rather moving. Kelebogile Besong was a delight and charmer as Musetta. She has the sort of personality which really lights up the a stage. 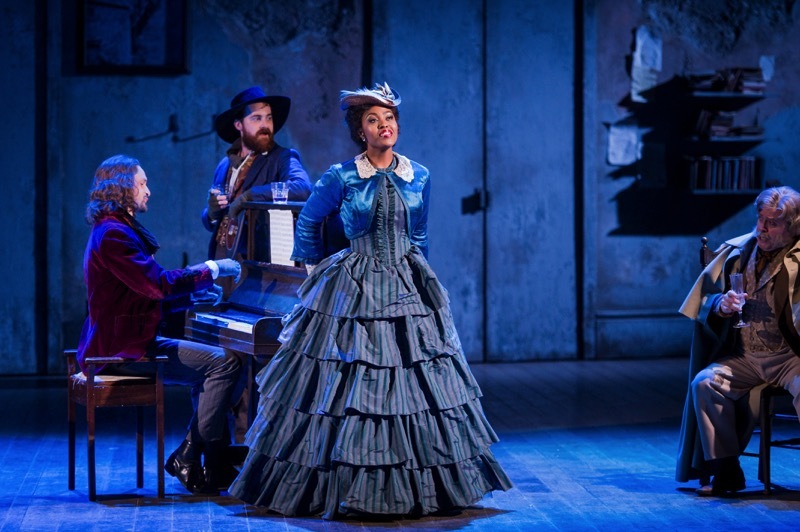 But the advantage of Stephen Medcalf's production was that Musetta did not over-dominate in Act Two but was part of a highly characterised whole. The smaller roles were well taken with Nicholas Folwell doing characterful double duty as Benoit and Alcindoro, and Roberto Abate as Parpignol. Robert Garland and Andrew Brown were the two customs officials. 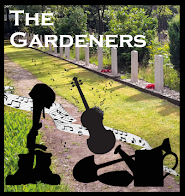 The ended, I found very powerful as the relationships between the four men built to the really strong reactions to Mimi's death. 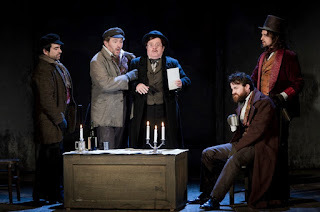 The way they left la vie de bohème at the end seemed to bring a great sense of the young men's playing at bohemian being pulled up shot by intensity of feeling and by real life. In the pit, Stephen Barlow was in charge of the Bournemouth Symphony Orchestra, the pairing giving us a turbo-charged accompaniment of the score, not on account of the volume but for the finesse and control shown. 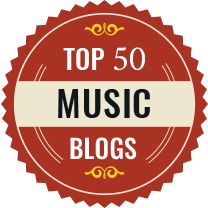 The big moments blossomed, but elsewhere Stephen Barlow and the orchestra ensured balance was supreme. Something essential in a small theatre where the naturalism of the dialogue was important. This was a very satisfying production of an opera which remains a perennial favourite with audiences. Stephen Medcalf and the finely balanced cast gave a nicely rounded feell to the whole evening.